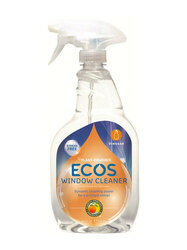 Enjoy Earth Friendly Products Window Cleaner Vinegar. Great For Use On Glass, Mirrors And Windows. | Ideal For Use On Plastics, Tinted Windows And Window Films. | Can Use On Metal, Vinyl, Linoleum, Etc. For Light All-Purpose Cleaning. (Note: Description is informational only. Please refer to ingredients label on product prior to use and address any health questions to your Health Professional prior to use.